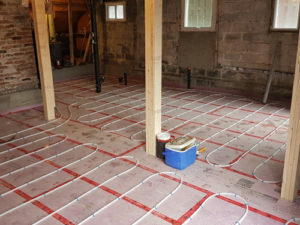 The experts at AirZone HVAC Services offer high quality radiant floor heating systems to the Ottawa and Ottawa Valley marketplace. Our major supplier of tubing is Uponor and we combine this with the quality, performance, and longevity of a Bosch boiler. 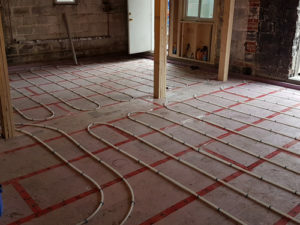 Radiant floor heating is a system of plastic tubes where hot liquid passes through to provide heating in your home. It is installed in the floor offering a wonderful “barefoot” experience. It is often used as an addition to a forced air heating system for the ultimate in home comfort. At AirZone, we offer an in-house certified radiant heating designer. This allows us to perfect a system for you for new construction or retrofit installations. 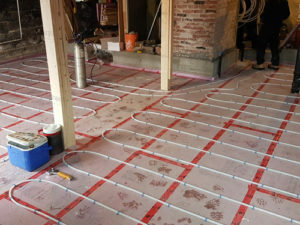 Our expertise with radiant floor heating provides a high quality custom system for your home backed by the AirZone guarantee!